**REDUCED** Buy this lot and have your New Build Home in 9 months! Owner started project years ago and was days away from starting build when his plans changed. Architectural plans convey! Permits were pulled and approved at that time. Would need to be renewed for existing plans. Architectural plans convey! Owner's builder estimates project could be finished approximately 9 months. Call for details! Absolutely stunning views from this Palm Canyon Lot. 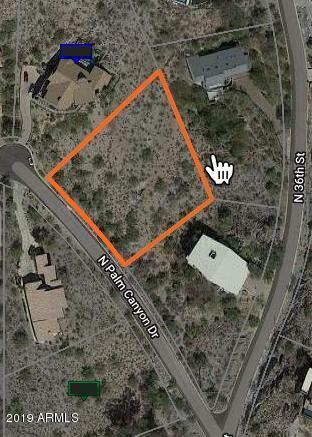 Almost 1 acre of land, this lot provides a future home owner with easy access to Biltmore area, Freeways, Scottsdale and downtown. The views from the elevated lot are exceptional! 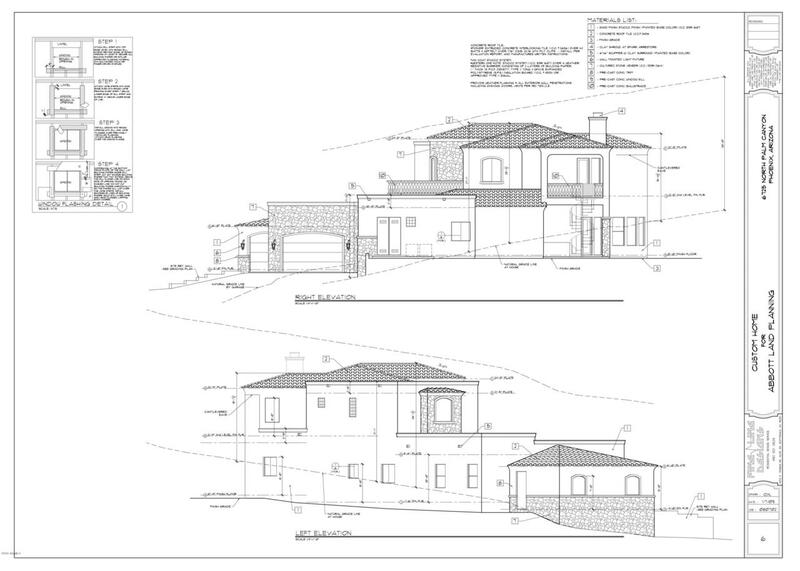 The owner has has a full set of custom home plans which convey with the sale. Start building your dream home today!